Shopping for Animals Construction Toys? 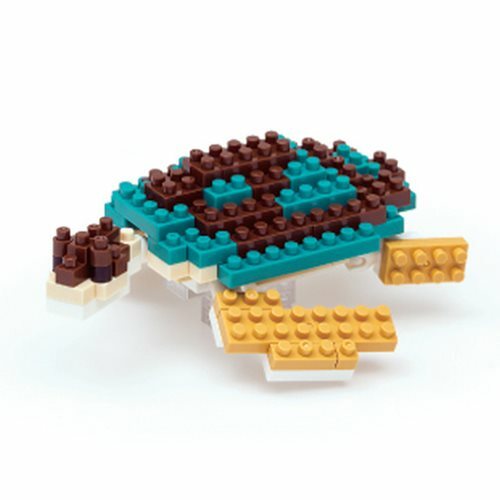 Build your very own sea turtle with the smallest building blocks in the world! Adult green sea turtles can measure up to 5-feet long and weigh up to 419 pounds, but this finished Sea Turtle Nanoblock Constructible Figure will fit perfectly in the palm of your hand! A fairly easy building set for beginner building block fans, the set features over 110 micro building blocks, which allows you to build in greater detail. Give it a try!